Photos will be displayed at the MAE from Monday, April 28 through Saturday, May 4. 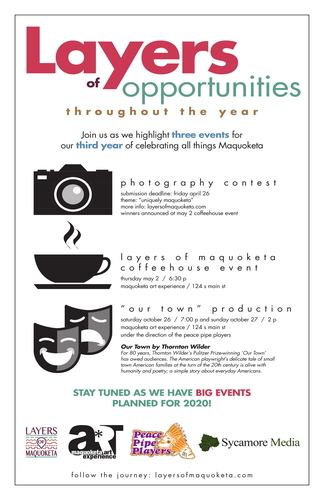 Winners will be announced at the Layers of Maquoketa Coffeehouse on Thursday, May 2. First place and runner-up prizes will be awarded for each category/class, as well as one overall Best in Show. Photos must be originals, taken by the person whose name is associated with the photo submission. We encourage photographers to submit photos that are taken during the current season. Only one submission per category, per photographer. Photos may be edited/filtered for color (or black & white), but no “artistic” filters (e.g., watercolor, mosaic, pen & ink, etc. ), nor any photoshopping should be used. No other media (e.g., paint, pen, etc.) should be applied to the photo. Photos must be no smaller than 5×7″ and no larger than 11×14″. Photos must be printed on photo-quality paper, and mounted on black foamcore board, with at least 1″ margin on all sides. Photo submissions should be marked on the back with the photographer’s name, address, age (for Youth class), and location of photograph or name of subject. Photo submissions can be dropped off at the MAE/Chamber of Commerce. Photo submissions and prizes can be retrieved after the contest beginning Monday, May 6. Any submissions not retrieved by Friday, May 10 will be discarded. 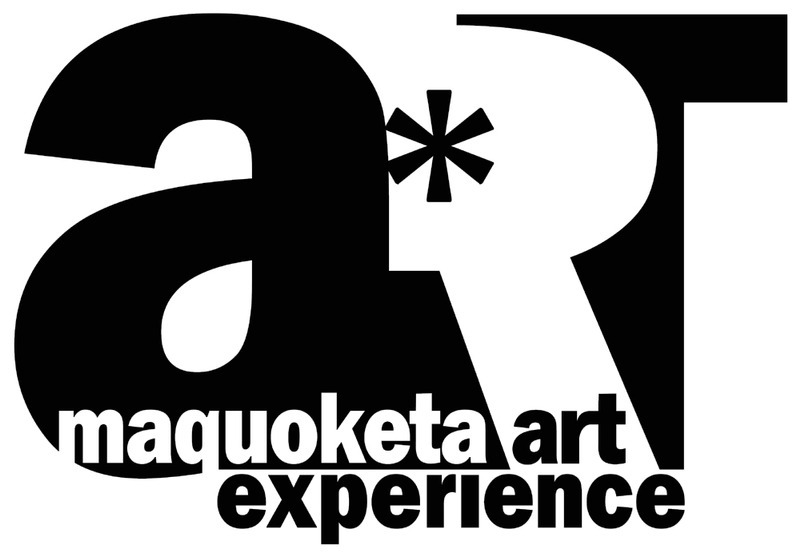 By submitting a photo, the photographer agrees that the photo may be used in association with promotion of the Layers of Maquoketa celebration, and may be reproduced in the Maquoketa Sentinel-Press, if the results of the photography contest are published.